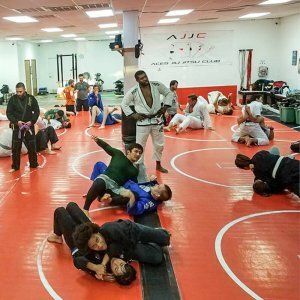 The samurai clans of Japan developed Jiu-Jitsu, the “Gentle Art,” as a means to defeat opponents through the application of a variety of techniques, including striking, throwing and ground grappling. During the Meiji Restoration, the classical art was refined and codified into a system of techniques by the legendary founder of Judo, Dr. Jigoro Kano. One of his most gifted students, Mitsuyo Maeda, began a series of world travels and a career of prize fighting throughout Europe and Latin America. He challenged all comers, and due to his fearsomeness in the ring earned the moniker, “Conde Koma” or “Count Trouble” (“Koma” being a corruption of the Japanese word “Komaru” to be in deep trouble). 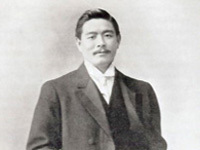 In 1914 Maeda moved to Brazil, where he was instrumental in establishing a community composed of fellow Japanese émigrés. Gastão Gracie, a local man of influence, aided him in his efforts. As an expression of his gratitude, Maeda taught the Brazilian’s oldest son Carlos the essentials of his fighting art, particularly the innovations he had developed from countless matches against Western fighters. Carlos, in turn, taught the other brothers of the family, including the art’s second great pioneer, Helio Gracie. Helio was small and plagued in his youth by a weak constitution. Because of his slight stature, he began to work with and adapt the basic techniques of Jiu-Jitsu, improving the leverage points, so a smaller, weaker fighter could more easily defeat a larger assailant. His long process of trial and error led him to the discovery of a wide variety of enhancements. 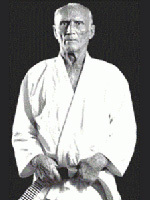 His efforts transformed the Gracie variant of Jiu-jitsu into a form of fighting that depended much less on physical attributes like strength or explosiveness, and more on technique and strategy. 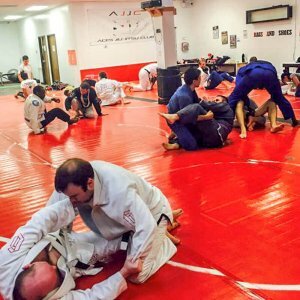 Many members of the Gracie family, as well as a wide variety of Jiu-jitsu practitioners around the world have since added countless innovations to make Brazilian Jiu-jitsu one of the most effective martial art styles on the planet. We at Aces Jiu-jitsu Club seek to continue this process of experimentation and innovation begun by Maeda, Helio and Carlos. Carlson Gracie Jr, an accomplished and respected BJJ black belt catapulted to fame at the age of 23 when he avenged the defeat of his uncle Helio Gracie. A former student of Helio’s, Waldemar Santana, had defeated the much older Helio during a match in 1955. That match lasted four hours. Carlson’s rematch with Santana in 1956 was a much shorter affair: four rounds of vicious vale-tudo (MMA) combat which came to draw. 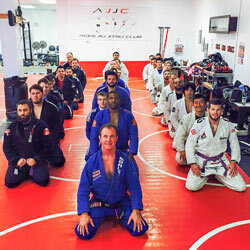 As an ambassador to Brazilian Jiu Jitsu, Carlson Gracie Jr also spread the word of self defense and is noted for a large part of the expansion of BJJ in the United States.